Call Us Today! (800) 405-6020 | Specializing in Fundraising Cards - #1 For a Reason! Let us show you why supporters love ourFundraising Cards! More discounts than any other discount card fundraiser! "These cards are loaded with awesome discounts and with the promotional $25 restaurant certificate on top, our supporters got back more than what they paid for the card with just that. This was the easiest fundraiser we have ever done!" Millions raised and counting - see why below! With decades of experience in the fundraising industry, we continually found that supporters would much rather pay for something that saves them money at places they go to everyday, rather than OVER-PAYING for products they can easily get themselves (at the store down the street) like candles, cookie dough, candy, magazines, or catalog items. It was with this eye-opening and factual information that we decided to focus all of our resources into providing the industry's best discount card fundraiser. One of our first success stories was with Liberty High School. Liberty High School needed 2 heaters repaired for their gym before they hosted the state volleyball tournament. They’re old discount fundraising cards only allowed them to raise around $1000 dollars because of the limited discounts, which limited the opportunity. After switching to our fundraising discount cards, not only did they sell to more people, they were able to sell to family and friends all over the U.S. Not only did the money they raised allow them to get their gym heaters repaired by Worlock HVAC, but allowed them to purchase a new heater from Worlock HVAC too! Check out the discounts here! Our customers fully understand that fundraising discount cards with better discounts to more places, are easier to sell. And, we all know that the easier they are to sell, the more money you raise and the smoother your fundraiser goes. 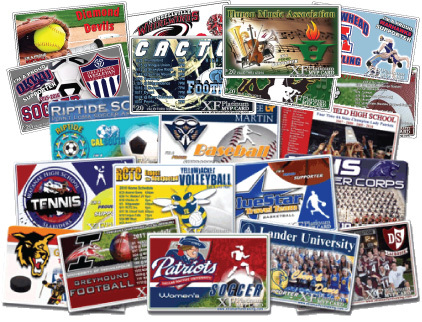 Today, we are proud to offer the Nation's #1 discount card fundraiser - more discounts than any other fundraising program.. The simple fact that thousands return to us year after year is a true testament as to how successful we were in our quest to create the industry's greatest fundraising cards. Because of the quality and quantity of the discounts that come with our cards, you can sell to anyone anywhere in the country and they will be able to use the card in their area to save a ton. 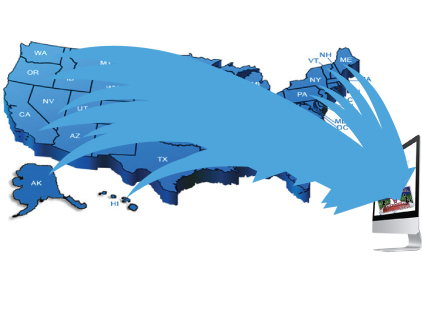 Even supporters in your area can use the card all over the country. 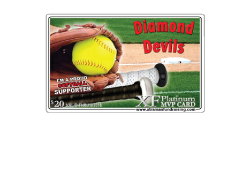 This greatly increases the number of people that can benefit from the cards - which means more sales and more money raised for your program! Because our fundraising discount cards come with thousands of substantial discounts in all parts of the country, almost everyone will benefit from owning one - NO MATTER WHERE THEY LIVE. 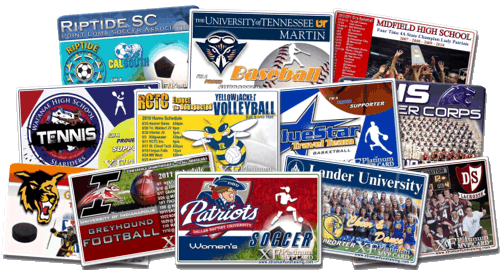 For this reason, we will create a personalized website for your program so that literally anyone who wants a card, can get one. All they have to do is go to the site and buy a card. We even help you customize an email and social media post that will reach thousands of people - including our over 7 Thousand fans - to inform them about your fundraiser and how they can go directly to your site to purchase a card. "Fundraising doesn't get any easier!" - Kim Anderson (Cheer Coach - Via our Cheerleading Fundraisers page! Want to see the discounts in your area? The #1 Discount Card Fundraiser - For a Reason! With more discounts than any other fundraising card, programs can sell to more people in and out of their area raising more money. Even utilizing the custom website to sell out of state. Featured discounts will be placed on the back of the card. Obviously we can't put all of our discounts on the back, so these are usually the ones closest to you and fan favorites. With our current promotion, this $25 restaurant savings certificate that each of your supporters receive in addition to the other discounts basically pays for the card and then some. We understand that you're trying to raise money, so we never ask for anything up front. This includes the FREE shipping that comes with all orders. It's doesn't get any easier. You all take great pride in offering an outstanding product for our supporters. 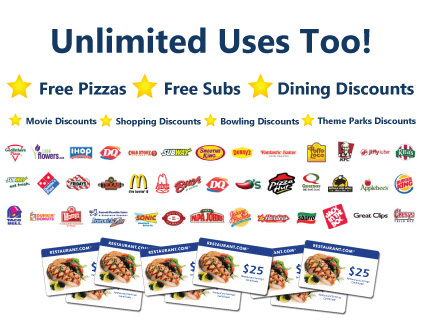 There were so many discounts that came with your discount cards, that they appealed to everyone. As you could tell with our additional orders for more of your cards, they were extremely easy to sell. 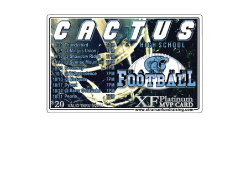 This was the first discount card fundraiser that our players and parents enjoyed being a part of. Keep up the quality of work, it does not go unnoticed! You all take great pride in offering an outstanding product for our supporters. There were so many discounts that came with your cards, that they appealed to everyone. As you could tell with our additional orders for more of your cards, they were extremely easy to sell. This was the first discount card fundraiser that our players and parents enjoyed being a part of. Keep up the quality of work, it does not go unnoticed! Thank you so much, again, for providing our elementary school with a high quality discount card fundraiser. 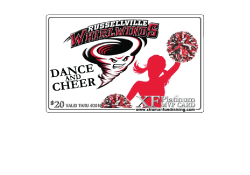 Each year the parents look forward to doing this fundraiser and seeing the new cards. This year was our most profitable fundraiser ever since using your company over the past few years. As always, we look forward to working with you again next year. Thanks again! I just had to write your company after being an extremely satisfied customer for two years now. We tried every product under the sun when it came to fundraising and it always seemed to be like pulling teeth to get our supporters to buy anything. Whether it was cookie dough, candles, candy, magazines, catalog sales, donations, you name it our supporters did not like over-paying for products. Fortunately, a friend recommended you all to me a couple years ago and we have never been happier. Our discount card fundraiser is a huge hit with our supporters and each year just keeps getting better! Fundraising doesn't get any easier than that. What a great experience, easiest and most profitable discount card fundraiser we have ever done! You guys really know what you’re talking about in regards to supporter loyalty. I didn’t think the cards could do any better than last year, but this year's fundraiser was even better. I feel like this discount card fundraiser was a great success and I sold cards to our soccer coach while recommending your company. I wanted to let you know what a GREAT experience I had working with Liana. Our cards order did not end up being large, but her dedication to making sure we were satisfied and happy never stopped. Her follow-up was amazing, and she bent over backwards to be sure every one of my questions, and needs were met in a timely manner. She was also very pleasant and was never frustrated at the effort it took to reach me at times. She was wonderful to work with! 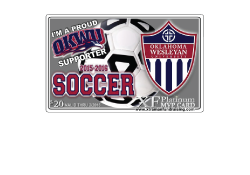 The best of all soccer fundraising ideas available. Thanks so much for all your help with my fundraising discount cards! I will definitely pass along your company name to others looking for a fundraising opportunity. I was very satisfied with the cards, the company, and the representative. I was very impressed with the discount card fundraiser. They are professional and very cool because they are personalized to our school and our sport. Thanks. Everything was great! Tim Vining was attentive, enthusiastic, and flexible. I will definitely use your company again for our fundraiser! Thanks! Your company helped us in a very crucial time and was very flexible to our needs. Your company helped us raise a great deal of money in a very short period of time. The product is perfect and very easy to sell. Your design team was very good especially because I was very picky as to what I wanted. The fundraising cards are very professionally done! I am very happy that I chose to work with you! I am very happy with the company. Thanks to all of you for providing such great fundraising discount cards. You have worked hard, and it has paid off. 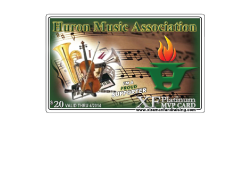 For it being the first time working with Xtraman, and Liana, very successful first fundraiser with fundraising discount cards! What are you waiting for? Best Fundraiser EVER! 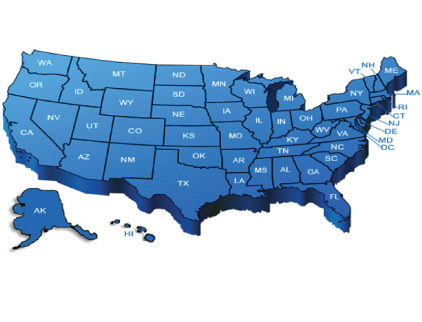 See why thousands choose us and continue to come back every year! Over 7,000 Facebook Fans can't be wrong! We Thank You. The Community Thanks You! Chad Alexander is the owner of Dealer Auto Glass AZ and Dealer Tinting AZ. Chad is always willing to help out the local communities fundraising efforts whenever possible. Dealer Auto Glass AZ specializes in windshield replacements in the Phoenix area. Other locations and partners of Dealer are Dealer Windshield Replacement in Denver, Clear Diamond Auto Glass in Phoenix and Dealer Auto Glass Mesa, in Arizona. Visit Dealer Auto Glass LV if you travel to Vegas or Dealer Auto Glass Tucson if you find yourself in Tucson. Also, see their parent site at Dealer Auto Glass Replacement of Arizona located in Phoenix, Arizona. Thank you Chad for your support! Done Your Way, is one of the communities favorite cleaners. Specializing in carpet cleaning for the Phoenix area, DYW Carpet Cleaning and DYW Carpet Cleaning Mesa AZ has been a long time supporter of the local communities fundraising efforts. Thank you for your support! Community favorite Doug Sims at BD Pools and Spas can always be seen lending a helping hand to a number of organizations around the Valley. As one of the top, Doug makes sure to give back! Thanks Doug! Space Solutions, a family owned and operated company is a huge supporter of local fundraising efforts. Located at Solutions Garage Cabinets, their efforts do not go unnoticed! Thanks SP! Special thanks to Katie over at MY VIP Tour for providing amazing Disney VIP Tours to Disneyland and other theme parks. Thanks again MY VIP Tour! Big Thanks to Outdoor Grilling Company BBQ for catering a fundraiser for CCV. Visit them if you are in need of BBQ catering Phoenix anytime soon. Thanks Outdoor Grilling Catering for your support! Join the thousands who have their best fundraiser with us! Let's Get Started! See Your Discounts! We are always adding discounts so stay up to date! © Xtraman Fundraising 2015. All Rights Reserved.